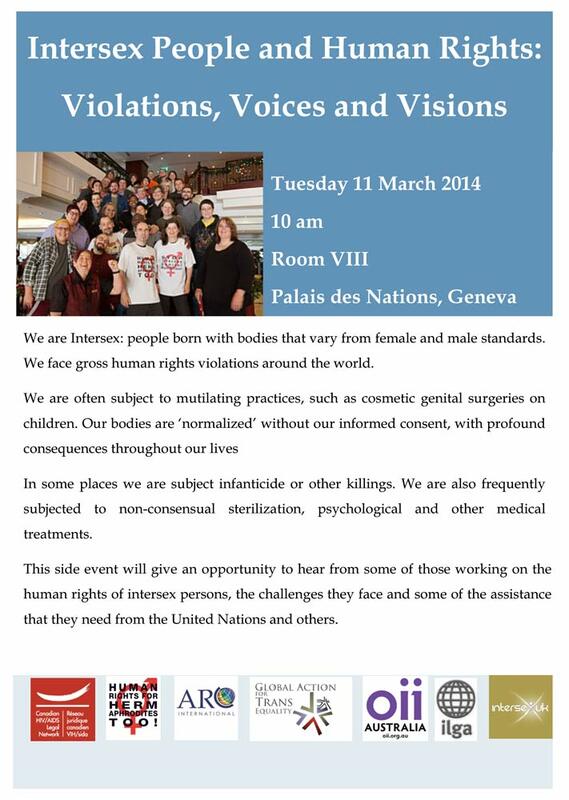 1st ever exclusively Intersex Side Event on occasion of the 25th Session of the UN Human Rights Council (UNHRC). Facilitated by ARC International, Canadian HIV/AIDS Legal Network, Gate, and ILGA. Thank you!